An unidentified class 47 leaves Settle with the diverted 06.55 Birmingham New Street - Edinburgh. 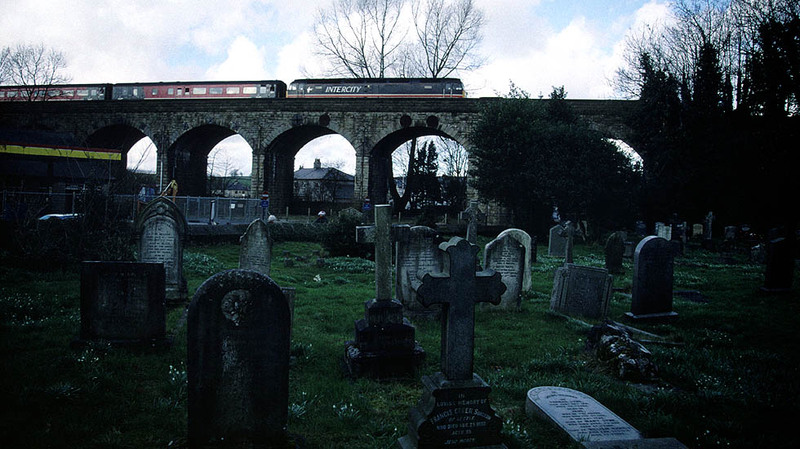 There are two viaducts to the north of the station, this is the second of them, Church Viaduct. In the 1980's the S & C did indeed have "one foot in the grave"!